She knew that the chance to live and work in America was something she couldn’t pass up, so the very next summer Darya was on a plane to Boston for a brand new experience that would forever change her. Darya spent the summer of 2011 living and working in Cape Cod, Massachusetts as part of her Summer Work and Travel program. She had a great summer, and left with a number of valuable new skills. She learned how to treat others in a professional setting, how to work hard, and how to help a business succeed. She also gained confidence that she could succeed when she put her mind to something. To say this changed her life would be an understatement. Some of Darya’s unique and fun pillow designs inspired by American television shows such as Friends. In the fall, she returned home to Uzbekistan a different person, and quickly put those new skills to good use. She used the money she had earned over the summer to help pay for college. 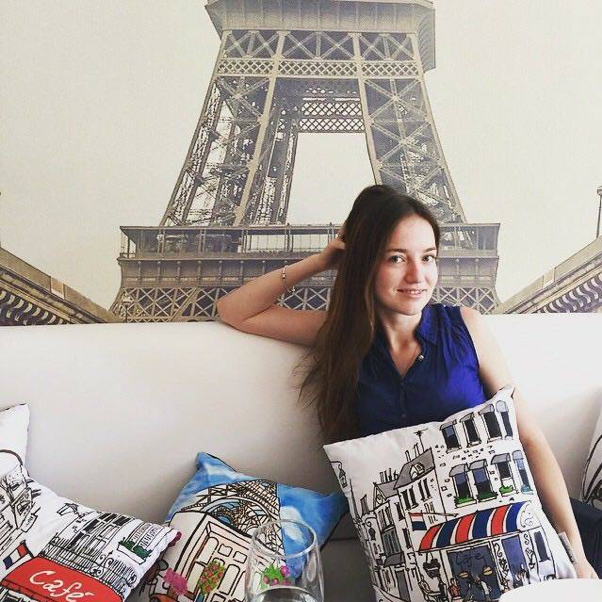 And she used her newfound confidence to start her own business – a custom pillow company called Korporaciya Podushek. Darya came up with the idea in an unusual way. While in the United States, she was watching a lot of American shows such as Friends and How I Met Your Mother as a way to improve her English, and she noticed that the sets were often filled with cute decorative pillows. This was not something Darya had ever seen at home in Uzbekistan – and she saw her opportunity to create a market. Without any prior knowledge of how to make pillows, she got to work. Seeing it as a challenge, she taught herself. Starting with gifts for friends and family, her single person business slowly grew. At first, she was selling ten pillows a month to people she knew. 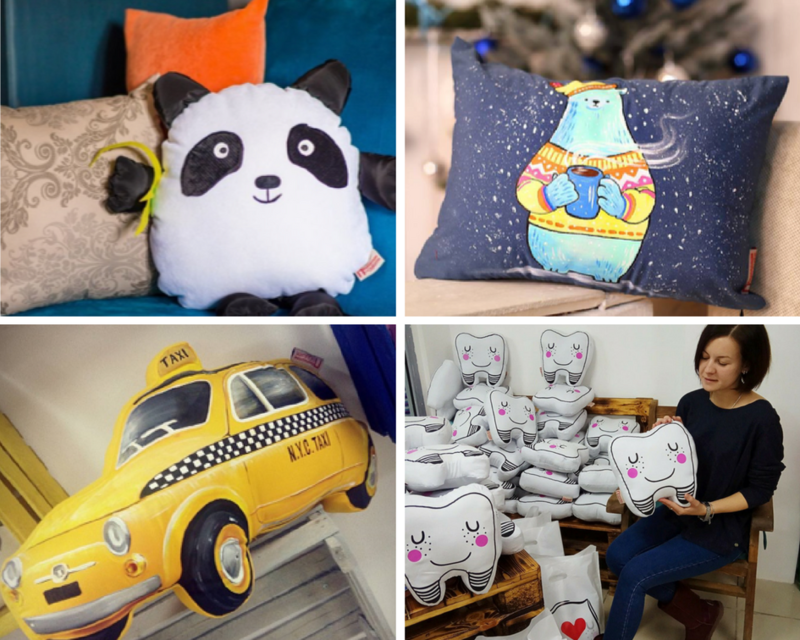 Now her company is selling 500 to 900 pillows a month all over the world. She’s even grown enough to hire a staff of hard working employees, people who she’s trained and manages herself. 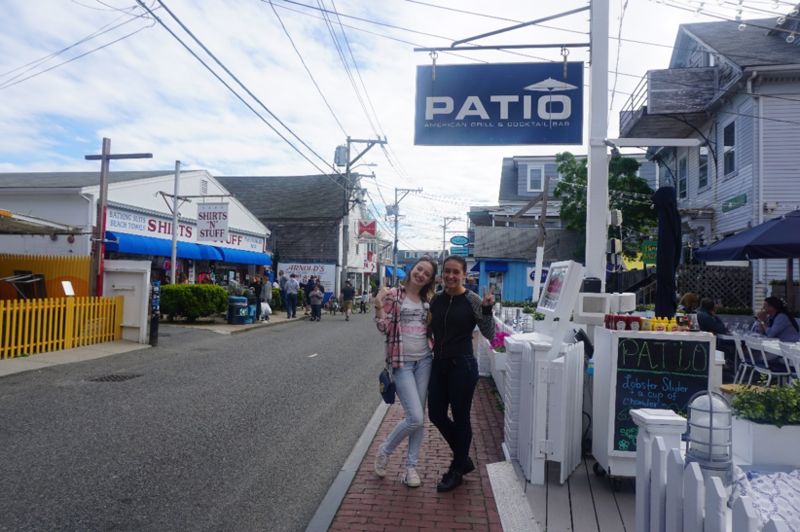 Darya with her Work & Travel manager at Patio American Grill in St, Provincetown, MA. If we stop here, it’s already a success story. But Darya still had the spirit of the J-1 program inside her, and wanted to continue to learn and experience new things. So she took on another new challenge and returned to the United States in April 2016 on the Internship program. She was nervous about leaving her comfort zone and starting all over again, but with her past experience as a guide, she also knew it would be great. Darya says that second flight to the U.S. changed her life once more. Leaving everything she created back home led her to truly find herself. A year later she is a new person: stronger and braver. Darya left California with friendships, memories and stories that will stay with her forever. She says “The more I travel, the more I find myself – I know what I want. California specifically showed me the importance of being able to dream. Here I am 26 years old, right after my yearlong internship. I dare to dream, full of plans and goals to be achieved, friends who believe in me and inspire me, and dreams – dreams that I know will become true soon enough. Darya returns home to a successful business and thanks to skills gained during her Internship program, an exciting new dream of creating a branding business.